We included this book as a bit of an homage to the founders of our company, as well as the history and culture of the Hartville area. 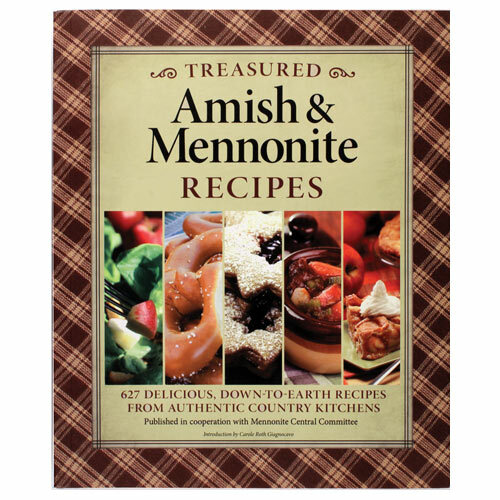 It's filled with 627 of the best recipes gathered from Amish and Mennonite cooks from across the United States and Canada. You'll find an endless array of appetizers, soups, salads, main dishes, casseroles, breads, and desserts that are easy to make and require only the simplest and freshest of ingredients. In fact, everything you need is probably already in the pantry, growing in the backyard, or easily purchased at the local market. One taste and you'll see why these recipes have been bringing families and communities together at the table for generations.